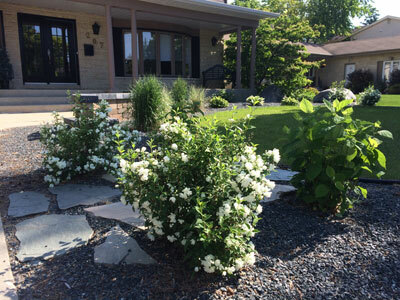 Sod, Trees, Shrubs & Plants are all important to your landscape feeling alive & vibrant. Placement is important, as growing conditions vary so our staff can lead you down a path of success. Adding living, breathing parts to your yard, that is not only nice to look at, but are also very healthy to have around. Sod is natures carpet, provides colour & life while adding a fresh & cool area to stand on. Trees offer shade & height, while offering privacy & texture. Plants are great for colour & accent, also providing natural fences & borders to living & relaxing in your oasis. Trained staff will show you how we can help install & maintain your new Sod, Trees, Shrubs & Plants.